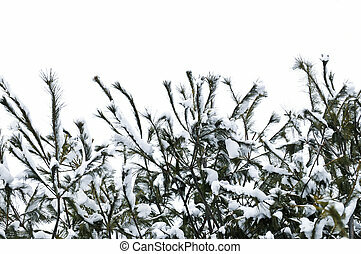 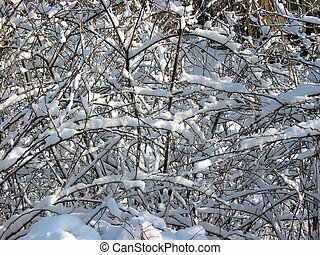 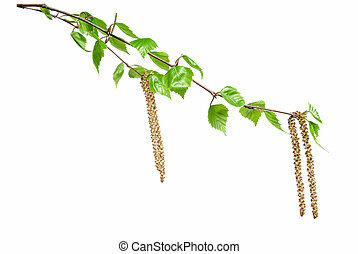 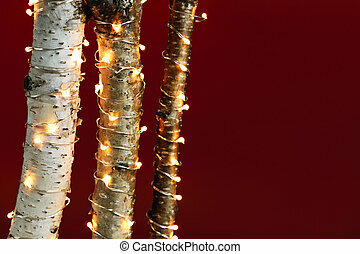 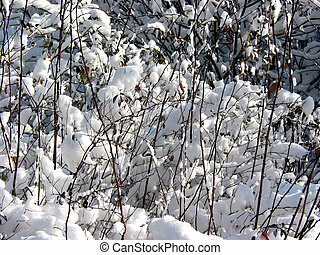 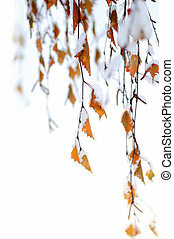 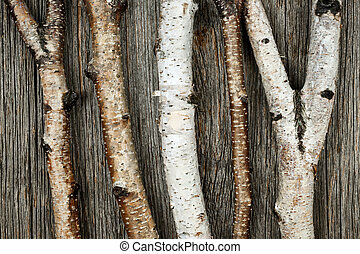 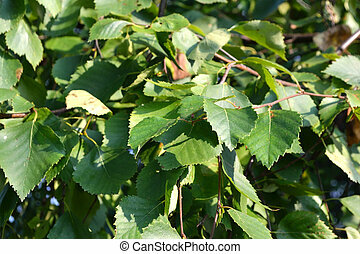 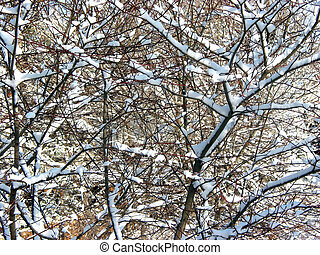 Birch branches background. 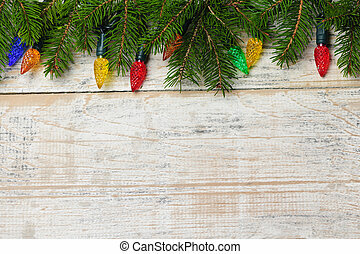 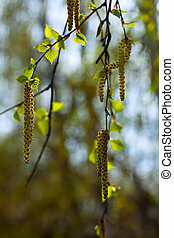 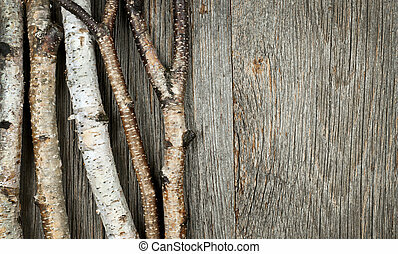 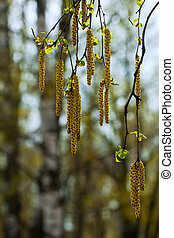 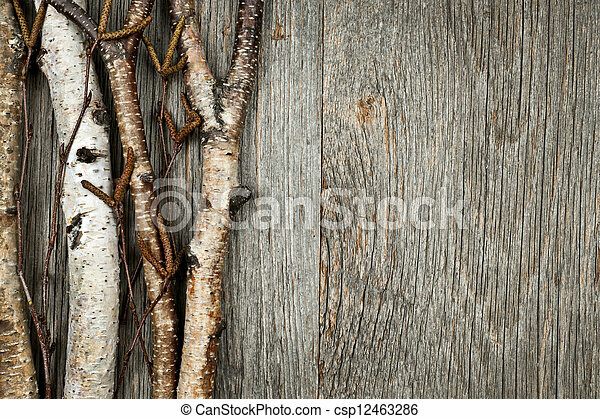 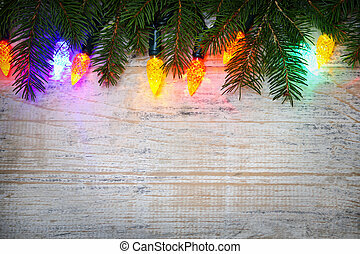 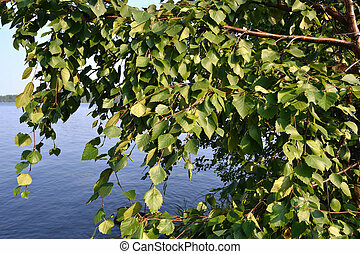 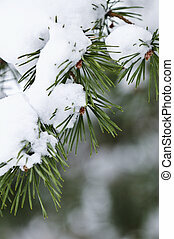 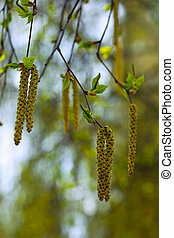 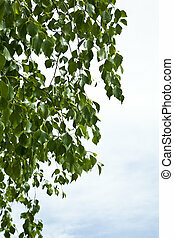 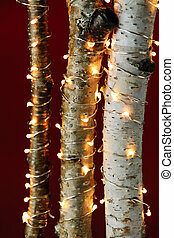 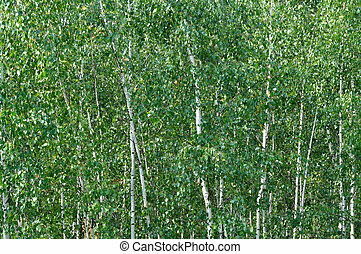 Birch tree trunks and branches on natural wood background with copy space. 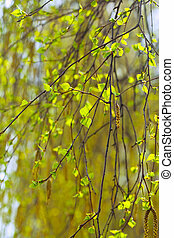 Watercolor birch branches, green buds. 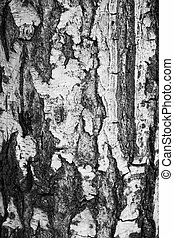 Hand painting on paper. 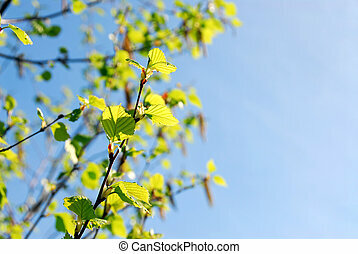 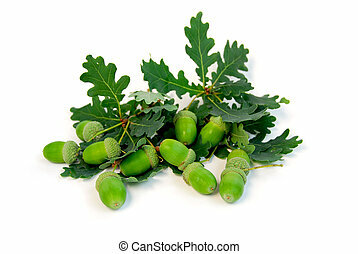 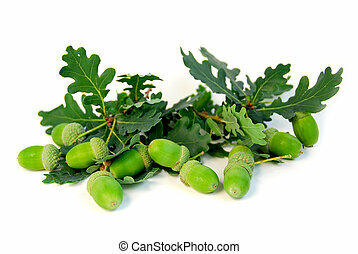 Spring background. 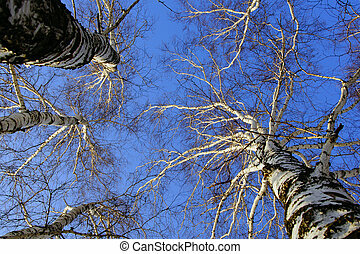 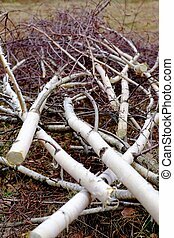 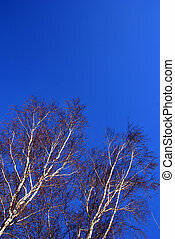 Birch branches before a strikingly blue background. 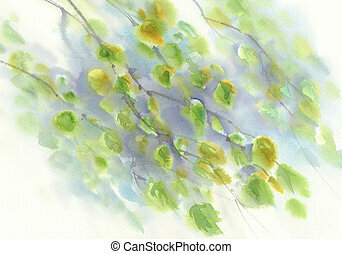 Birch branches in spring watercolor background. 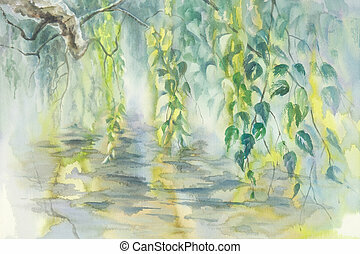 Water reflections.